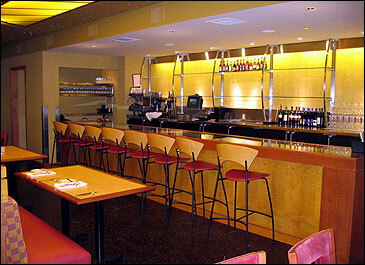 Full service restaurant, bar and banquet facility that caters to theater patrons. This project required both made-to-order restaurant fare and high-volume banquet meals to emerge from one extra-compact kitchen. This reflects in the smart use of space and the high-speed production afforded by cutting-edge equipment. On an extra busy day, the Citilites crew can turn out food for one 600-person banquet; two 150-person events; the restaurant; and support the bar and concessions area for the theatre performances. The restaurant portion holds 160 seats, while the theatre holds 2,300 seats.